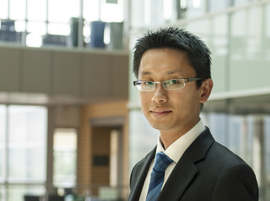 Dr. Eric Li is an Assistant Professor at the Faculty of Management, University of British Columbia – Okanagn campus. His research interests include health promotion, consumer well-being, consumer culture, digital marketing and consumption, design and culture, multiculturalism, and urban/rural community development. He is the founder of the Healthy Living IdeasFest, an academic event for health promotion and innovation that connected to his marketing courses. Dr. Eric Li is an active scholars in the field of Marketing, Consumer Research, and Management. His works have been presented at the international conferences such as the American Marketing Association annual conference, the Association for Consumer Research conferences, the Public Policy and Marketing Conferences, and the Academy of Management. He also published articles and book chapters on various topics ranging from consumer psychology to community’s perception on urban densification. In the past two years, Dr. Li has developed a new research agenda on health promotion. He is interested to integrate the classroom experiential learning with community-based research. In the past three years, his Healthy Living project has engaged over 30 community organizations (including local governments, non-profit and for-profit organizations) and over 500 students in exploring new health promotion strategies and initiatives. Dr. Li recently received a SSHRC Insight Development Grant to support his new research program on rural health promotion and community development.